Chocolate! Even just the word makes our mouths water. A lot of people bite back in eating this amazing product wrongly believe that chocolate is harmful for our organism, especially for our teeth and form. After scrolling down the page and looking through the infographic you will run to the nearest shop to buy as much chocolate as it is possible! 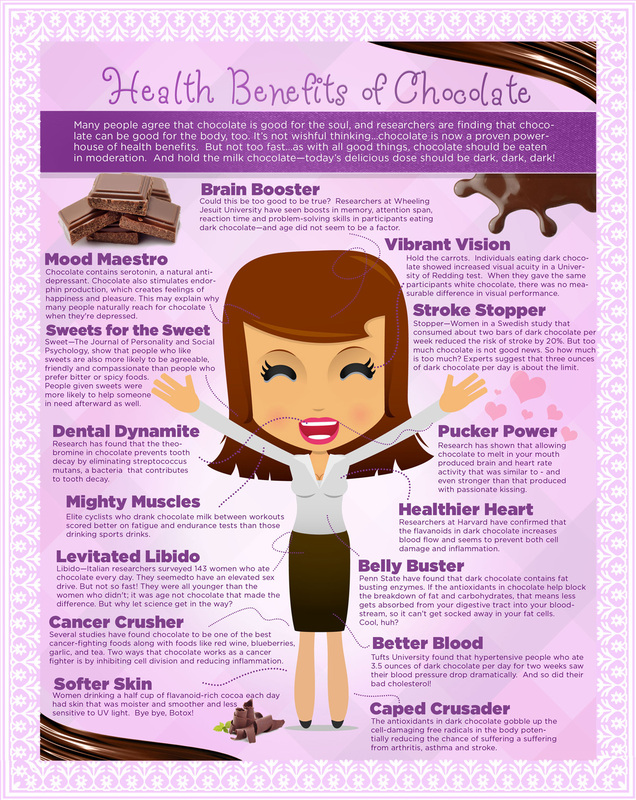 Turns out, chocolate has a great number of benefits and you must be aware of them! Are you surprised?